Seven months after it was destroyed by fire, a popular South Wales restaurant has re-opened its doors to devotees of French dining. 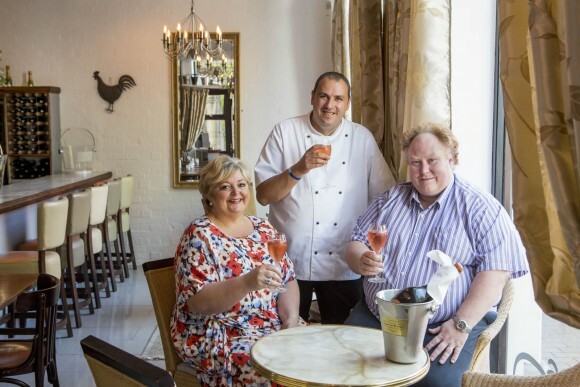 Three years ago husband and wife team Arwel and Jayne Griffith-Parry opened their bistro Le Petit Bouchon in Neath, only to see their dream go up in smoke in January this year when a fire broke out in an adjacent property. However with the help of friends and loyal customers the bistro has re-opened in a new location and with a change of name – Le Petit Bulle. “We have been overwhelmed with the support shown by people and the offers of practical help we have received have been amazing, we really can’t thank everyone enough,” said Arwel, whose welcoming front of house style combined with Jayne’s culinary skills has earned them top ratings. Situated below Neath’s Georgian Town Hall, Le Petit Bulle is only a few hundred yards from their previous restaurant. 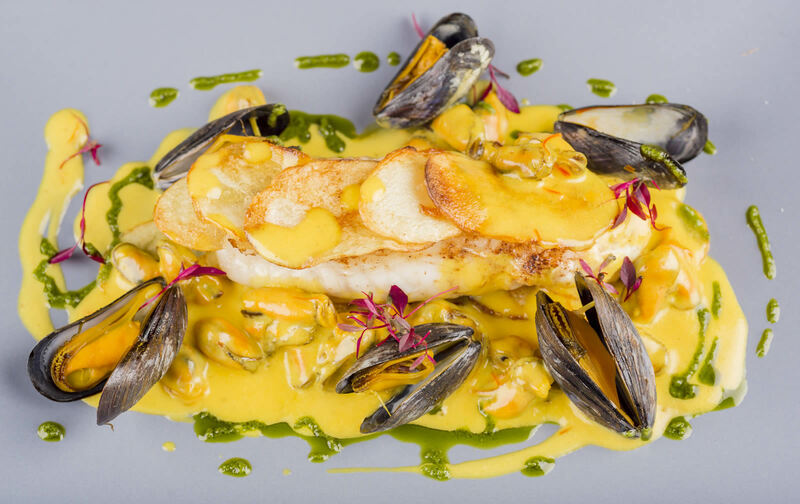 It prides itself on offering superb French style food using locally sourced ingredients, and an extensive choice of wines and champagne. For those who enjoy a glass of champagne then LPB is heaven as they stock an extensive cellar including the full range of Laurent-Perrier champagnes along with Didier Chopin, Chartogne Taillet, Perrier Jouet, Pol Roger Millesieme and Louis Roderer ‘Crystal’. Indeed ‘Bulle’ means ‘bubble’ in French and is a reference to the bubbles found in champagne. Affectionately dubbed ‘LPB’ by customers, there are changes in the kitchen too. With Jayne deciding to expand her front of house role with Arwel classically trained French chef Nordine Zouaoui has joined the team and brings with him a wealth of experience. Trained by the world-famous chef Paul Bocuse at the Auberge du Pont de Collonges, 39 year-old Nordine has worked in some of the finest restaurants in France including Le Clos Fleuri with chef Pierre Gagnaire. Originally from St Etienne near Lyon – the ‘capital of gastronomy’ – he moved to the UK to improve his English and worked as a freelance chef with the likes of Raymond Blanc, Marco Pierre-White and Gordon Ramsay. Now settled in Port Talbot with his Welsh partner and daughter, Nordine has worked across South Wales including at Bully’s in Cardiff. However his first contact with LPB was as a customer, and when he heard they were looking for a chef he was eager to put himself forward. Says Nordine, “Joining LPB is like coming home for me, it is like being in France again. Wales has so much in common with France with different regions producing different types of cheese and meat. 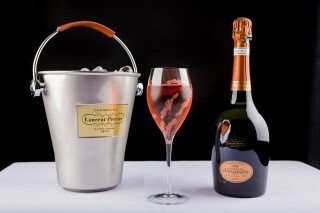 A series of gourmet nights and special events are planned for the coming months, as well as master-classes. Keen to pass his skills on to the next generation Nordine is also combining his chef duties with studying for a teaching qualification at Neath Port Talbot College. (left to right) Jayne Griffith-Parry, Nordine Zouaoui, and Arwel Griffith-Parry.